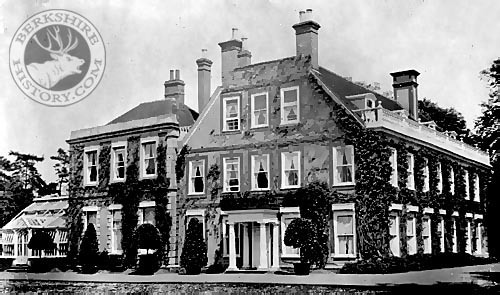 Caldecott House was, for many years, the home of the Hyde family. When its last owner, Major-Genral Bailie, died in 1918, the place became an hotel. Requisitioned during the last war, it was, finally, a Barnardo's Children's Home until its demolition, in 1972, to make way for the present housing estate. © Nash Ford Publishing 2002. All Rights Reserved. The location of this country house is now administered by Oxfordshire County Council.